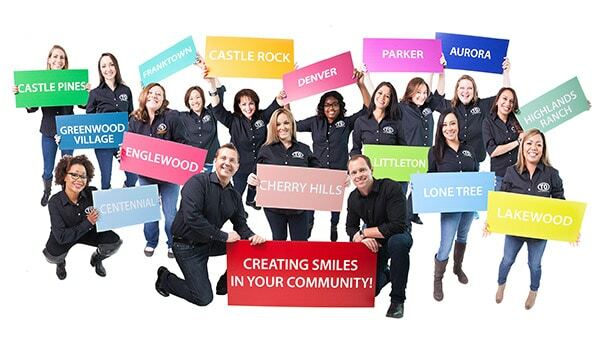 Did you know that fewer than 20% of all orthodontists practicing in Douglas and Arapahoe Counties are Board-certified? Total Orthodontics is the only area practice to have TWO full-time Board-certified orthodontists. This prestigious achievement demonstrates our commitment to delivering exceptional care and service to our patients. Learn more here. Total Orthodontics is a nationally-recognized orthodontic practice which has been in operation since 1960. 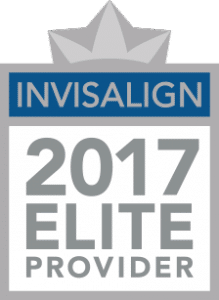 Our practice and Board-certified orthodontists, Dr. Kevin Theroux and Dr. Brooks Barefoot, have been featured in many sources including Channel 7 news, Channel 9 news, 5280 Magazine, The Denver Post, and multiple orthodontic journals. We are known for high-quality results, relationship-driven care, and our conservative, research-oriented treatment recommendations. Over twenty thousand patients have trusted us with their smiles, and we are excited about the opportunity to get to know you and help you develop the smile you deserve. Our team appreciates the trust you have placed in us. We offer a unique orthodontic experience for the Greenwood Village (DTC) and Lone Tree, CO areas that is affordable, interactive, and effective. Both doctors are 5280 Magazine Top Orthodontists. Total Orthodontics utilizes the most advanced diagnostic and treatment techniques available today, including Damon braces, lingual braces (braces on the backside of the teeth), and Invisalign. Digital radiography, digital photography and advanced computer graphics ensure that our patients achieve healthy, beautiful smiles. Our treatment recommendations are individualized and research-based–no cookie cutter recommendations! Over 90% of our patients are treated with one single phase of treatment–as the research suggests is best. Very few patients undergo adult teeth extractions. We offer easy financing and 0% down payment plans are available. We provide the finest care with flexible and affordable arrangements to fit your budget (including options for no down payment). Founded by the late Dr. Robert Bushey, our practice has been in business since 1960. We even have some third generation patients! Our entire reputation is built upon honest, effective, and conservative treatment. Our two office locations with Board-certified orthodontists serve patients in the following areas: Lone Tree, Centennial, Highlands Ranch, Parker, Castle Rock, Aurora, Denver, Englewood, Littleton, Larkspur, Castle Pines, Greenwood Village, and Lakewood. We feel honored to treat patients from other states and countries who choose our office despite their commute because they recognize the importance of their smile! Board Certified - It's Rare! I finished my treatment about 4 years ago and my teeth are still perfect!. Doctor Barefoot has transformed my mouth to build not only confidence but a great first impression. I have so much appreciation for the TO community. The second you walk through the door you are treated like family. The hospitality is out of this world and I’m so glad to be a client. The love and true care they have for their patient and their treatment is truly a blessing. They really guided me through my 3 year process of perfecting my smile and made sure that i understood every step. I truly cannot thank Total Orthodontics enough! My daughter has had braces for about a year and we couldn't be happier with Total Orthodontics! We checked another place first and they were going to charge us much more! I'm so glad we found TO! Their office staff are wonderful to work with. My daughter feels so comfortable and welcome every time we come in:) I would highly recommend Total Orthodontics!